We love our dogs.... they are our inspiration for what we do, and we would like to introduce them to you! Jacob moved in with Richard and Harriet in November 2010, as an 8 week old puppy. His favourite thing to do is swim, followed closely by wallowing in muddy puddles and digging holes on the beach. Jacob has thrown himself into his new role as chief pool tester, having regular hydrotherapy for fitness, and would happily swim all day if we let him! 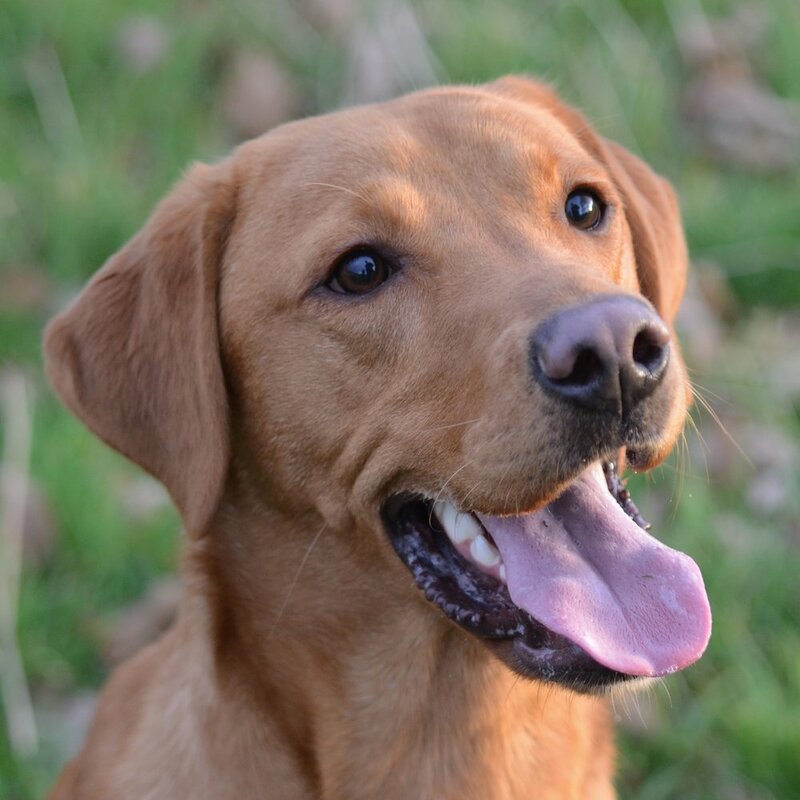 Finn is the youngest member of Team Millhaven; he stormed into Richard and Harriet’s lives as an 8 week old puppy in November 2015. Finn loves nothing more than retrieving, especially in water. Finn is a little force of nature, and we wouldn’t have him any other way! He has been attending hydrotherapy for fitness since he was 15 weeks old, and is a real water baby. Enzo is the most senior member of the Canine Department at 11 years old. He was rescued by Garth and Jo in July 2014. After spending a long time in kennels waiting for his second chance, he was initially very nervous but has since blossomed into a very happy boy in his new home. Like many dogs his age, Enzo suffers from arthritis and has weekly hydrotherapy sessions in the pool which help to maintain his fitness levels. He also loves to swim and this is the highlight of his week! Milo was diagnosed with Hip Dysplasia when he was 9 months old. He started a course of hydrotherapy sessions to help manage his condition, and couldn’t have loved it more. When Milo was 5 years old he was diagnosed with Polyneuropathy, and began regular hydrotherapy in both the pool and water treadmill, alongside physiotherapy. His condition meant that he spent some time unable to walk, but Harriet and Richard devoted themselves to ensuring Milo still led a happy life. Milo's journey through rehabilitation and the experience of caring for a recumbent dog inspired Harriet and Richard to pursue a career in canine hydrotherapy. Milo was determined to be just like every other dog, and never let his condition stop him from doing what he wanted to do. To know Milo was to love him. Our darling boy - what an honour it was to be yours. Garth and Jo’s passion to begin running a hydrotherapy business came about during their own personal experiences of caring for their beloved rescue Staffy Eddie. They have a deep understanding and knowledge of what it means to be the care giver for a disabled dog. Eddie suffered from bilateral Elbow Dysplasia, which had gone untreated until he was re homed by a rescue centre at the age of 9, moving in with Garth and Jo in August 2011. Twice weekly hydrotherapy treatment vastly improved Eddie's quality of life and gave him additional precious years that otherwise may not have been possible. Despite his condition he was the most wonderful, loving and determined character who never let life get him down. He is loved and still missed every day.